Abandoned by her father when she was young, geneticist Paige Robson has dedicated her life to pulling apart the science of his choice—discovering a gene that explains why some men stay while others leave. So when she decides she wants a child of her own, she turns to an anonymous sperm donor who will never complicate their lives. Now, nine years later, Paige loves Liam, a man with a big heart and a steadiness that makes her want to set aside her past and build a family of three with him. But moving forward is more complicated than she expected. Her son, Miles, is desperate to know his biological father and views Liam as nothing more than a stand-in for the real thing. Paige feels trapped, unable to make either of them completely happy. When fate thrusts Miles’s donor into their lives, Paige is shocked to discover he’s already connected to them in ways she couldn’t anticipate. Paige fears that revealing his true identity may do more harm than good and decides to say nothing. But when tragedy strikes, she must face the consequences of keeping a secret only she knows. 1. When Paige tries to get Miles to go on the dads’ campout with Liam, Miles expresses his desire to know his genetic father. Up until this point, Paige has been able to handle her son’s questions about his conception. What has changed? Is it just the campout? Or is the development of Miles’s desires something Paige didn’t anticipate? 2. Paige meets Jackie and Aaron at parents’ night at Miles’ school. Paige says the PTA mothers make her feel inadequate. What is different about Jackie? Paige is always worried about Miles having a friend, but why is it important that she herself have one? 3. Paige feels torn between giving Liam what he wants and making sure Miles is happy. Is that a dichotomy of her own construction? When Liam breaks up with her, he tells her Miles is “never going to let me in because you’ve taught him he doesn’t have to.” Is that a fair point? Or, since Liam knew Paige’s history with her father, could he have approached her fears in a different way? 4. The reader is put in Paige’s shoes when her father doesn’t show up to have lunch with her and Rose. Does this make you more understanding of her position that neither she nor Miles will have anything to do with him, despite the fact that he is dying? She takes a harsh line that only Jackie supports; is it a fair reaction to someone responsible for a lot of emotional damage? 5. Both Paige’s mother and sister want Paige to have contact with her father before he dies. Her mother wants Paige to grant him forgiveness, saying it “doesn’t mean forgetting. . . . It means understanding what happened, looking beyond your version of the past and seeing things from someone else’s perspective.” What events lead to Paige finding this version of forgiveness? 6. Rose is blunter with Paige. She says, “This isn’t about forgiving Dad or even having a relationship with him. It’s about not hating him when he dies.” Is this different from what their mother was trying to say? Why is finding this place so important for Paige as a daughter, mother, and possible life partner? 7. Paige’s father is the one to show her how similar they are to each other. Do you think her work on the genetics of emotional detachment has blinded her to the power of learned behavior? 8. Bruno understands why this gene study is important to Paige both professionally and personally. He calls her out when she asks Jenna to make extra visits to Scott, which could compromise their work. Were you surprised she then took an even bigger risk by using her lab to test Aaron’s DNA? She says the mother in her won out over the scientist. Were you comfortable with this justification? 9. Paige does not mean to tell Aaron he is Miles’s father, but blurts it out in her frustration that he won’t get tested for Huntington’s. Do her rights as a mother trump his rights as the actual owner of his genes? What emotional consequences does her revelation have? How are they compounded by Aaron’s death? 10. How do you feel about Paige’s decision not to share her secret with Jackie? When Jackie does find out, does Paige’s explanation seem reasonable? Does her letter to Jackie do a better job of explaining all of her motives? Do you understand why Jackie cannot forgive her? 11. Although Liam decides to give Paige a second chance, it’s hard earned. Liam says, “It’s not that I don’t want to believe you; it’s that I can’t. Not yet.” Is this a satisfying response? Is it true to their characters? 12. When Paige visits her father’s deathbed, she sees her mother and feels guilty that she hasn’t been a more supportive daughter. According to Rose, Paige used to be the bravest person she knew. What changed for Paige after she herself became a mother? Do you think motherhood makes you more brave or less? 13. The chapters are preceded by short informational pieces about genetics. The final two pages are about epigenetic inheritance. It notes that even if we don’t get to hear family stories, our ancestors are genetically “carried forward, a quiet memory of people long since forgotten.” Why is it so important that Paige and Miles understand both their fathers’ genetics and their stories? 1. Has anyone in your group used the websites 23andme.com or ancestry.com? If so, have members share what they gained from the experience. If not, consider using one after reading this book. Ancestry.com offers but does not require DNA testing; 23andme.com is based entirely off genetic information. Does Paige’s story affect your preference for using one or the other? 2. Although Jackie does not forgive Paige, she gives her the beautiful gift of a photo album of Aaron’s childhood. As the child of a sperm donor, this is a very unique connection that Miles will have to his genetic father. Does it make you feel any differently about the photo albums you might currently have of your family? Create a photo album of your own dedicated to connecting the generations and share it with the group. 3. Paige uses A Night of Asian Fusion to reconnect with Liam. This worked well for the characters, so why not try it with your club? Find a cooking class in your area and sign up with members of your group. If a class on Asian food does not appeal to you, try one on creating desserts or another specialty such as Indian cooking or pizza making. 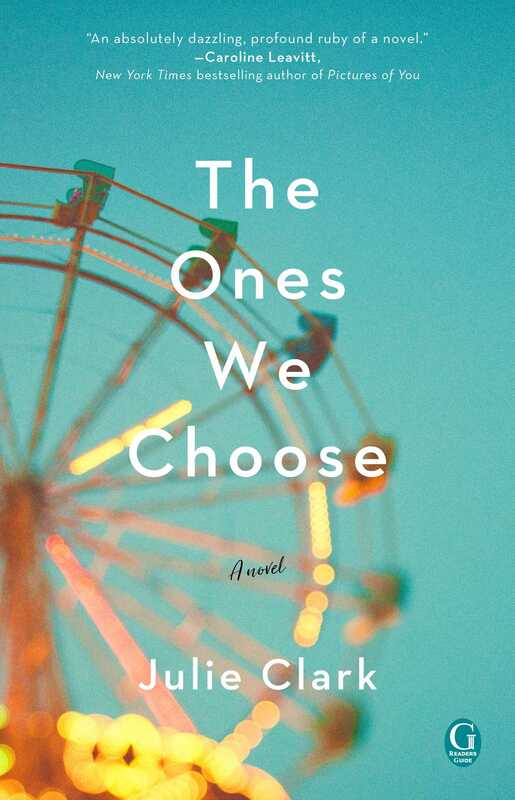 "A novel with a wonderfully smart and strong protagonist, Julie Clark's debut The Ones We Choose is an impressive and surprising combination of hard science and raw emotion. In this absorbing story of friendship, parenting, and the intensity of the sibling bond, Clark reveals how messy family life can be and how the mess itself might be of great value. An engaging read!" "An engaging, heart-felt alchemy of genetics and emotion, THE ONES WE CHOOSE is a unique story that will having you thinking about the true meaning of family and how our heritage silently weaves its way into every choice we make." 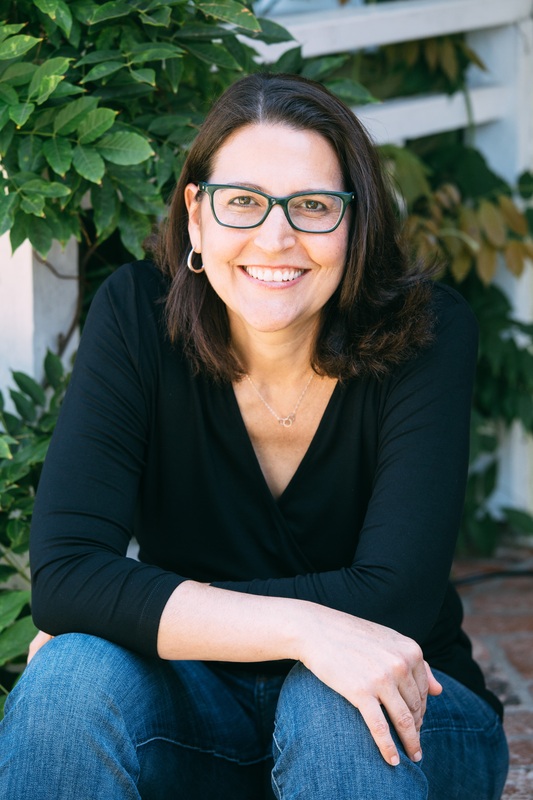 "A unique marriage of love and science, Julie Clark’s powerful debut The Ones We Choose proves family is what we make it. Poignant and captivating, this is a read-in-one-sitting story!"